Osa plays a critical role in protecting the Costa Rica’s environment. With increasing environmental crime, officials are organizing special operations. Backing this effort is the Ministry of Public Security and the Program of Control and Protection. Why Is Manuel Antonio Such An Attractive Area? Living in Escazu, Costa Rica. Which are the most exclusive areas? Escazu is always called “Embassy Row”, but of course not all of Escazu is Embassy row. Even though there is a zoning plan in Escazu, you’ll be surprised how “messy” it is. The reason is that Escazu grew from a tiny little town into a large city with zero city planning. Costa Rica has NEVER had a hurricane; EVER. Since the beginning of recorded history, in 1851, no hurricane has ever made landfall in the world of PURA VIDA. So when hurricane Otto started heating up in the Caribbean earlier this week, nobody paid much attention. Living WITHOUT Heating in Costa Rica! I really don’t recall a time ever hearing someone say, “I love this 20 degree weather”, and is probably because nobody does say that! The aguinaldo is an extra salary, also known as the 13th month, which has to be paid to all the regular employees, regardless of the performance or quality of the job, since is based on the paid gross salary. In November 2008 having just returned from a trip to Scotland and England, the short dark days, the freezing temperatures and the icy winds blowing down from the arctic circle were a cold, sharp reminder of one of the reasons I love living in Costa Rica. Pumpkin Pie in Paradise. Enjoying Thanksgiving in Jaco Beach, Costa Rica. It’s time to ditch the mittens for picture perfect sunsets, palm trees, and pumpkin pie! The holiday season is in full swing in Jaco, Costa Rica, as expats and vacationers from the U.S. prep for Thanksgiving. Hurricanes in Costa Rica – Little To Worry About Until Today? Thankfully, Costa Rica is normally below the hurricane line and rarely receives damage from the hurricanes that tend to plague more northern parts of the Caribbean. Imagine jumping into a big, inflatable ball partly filled with water. Now imagine rolling inside of that ball down a hillside obstacle course. Welcome to the world of zorbing! Anyone who’s considered Costa Rica as a vacation destination has probably heard about Manuel Antonio. It’s home to Costa Rica’s most popular national park and one that’s been labeled one of the most beautiful national parks in the world (Forbes Magazine, 2011). The Top 14 Things That Gringos Love About Living in Escazu & Santa Ana That Cannot Be Found Anywhere Else in Costa Rica! Living in Escazu, Costa Rica is not for everyone. If you are the ‘pioneering’ type and already speak fluent Spanish then living in a more remote area of Costa Rica may be perfect for you from day one. The holidays are one of the most popular times to travel to Costa Rica and reservations need to be made well in advance. Here at Costa Rican Vacations, we only have 20 rooms left to offer, so act soon before they’re all gone! Recommended Costa Rica Realtor Andrés Henfling. 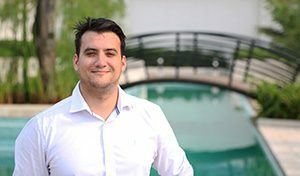 Ten reasons to hire Andrés Henfling as your Realtor in the Santa Ana & Escazu Areas. Through this website, you will have learned that there are no qualifications, exams or regulatory requirements to become a ‘real estate broker’ in Costa Rica so anyone can print a business card and call themselves a broker.